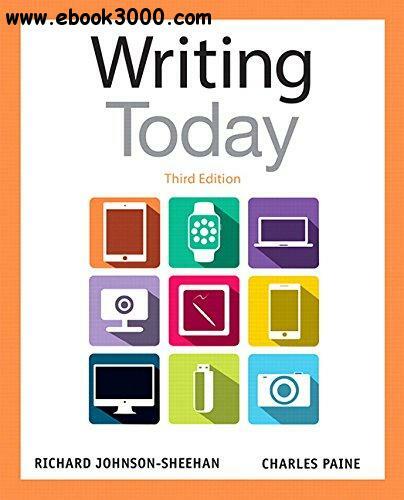 Accessible to students and flexible for instructors, Writing Today, Third Edition introduces students to the conventions of writing memoirs, profiles, literary analyses, arguments, research papers, and more. Each chapter features a step-by-step process for composing within a given genre, as well as exemplary student and professional readings to promote rhetorical knowledge and critical analysis. The 42 short chapters, the chunked writing style, and visual instruction work to ensure that students will transfer the skills and strategies practiced in your class to their other classes, their lives, and their careers. From its graphic "Quick Start Guides" to its "Write This" prompts, Writing Today challenges students to extend the boundaries of their writing abilities as they practice composing for the real world.